擎拓英文, Inc. ("RebatesMe" or "we") is pleased to give you access to RebatesMe.com (this "website"). By registering, you are indicating that you agree that you have read, understood, and agreed with the following Terms. You understand that we may update these terms from time to time without giving you any notice. Unless we let you know by giving you notice, any new or updated features or services that we put on our website will be subject to these terms. RebatesMe.com utilizes commission-based affiliate marketing from our merchant partners ("Affiliate Merchants"). Our RebatesMe "Members" share in these commissions via "Cash Back Rebates". RebatesMe is an online shopping engine that combines price comparison with cash back discounts and online coupons. 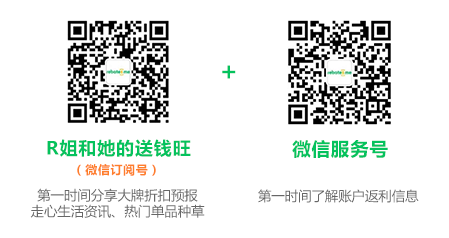 RebatesMe pays its members by check, and electronically via UnionPay, PayPal, Alipay. To join RebatesMe and use our services, you must be at least 18 years of age. If you are under 18 years of age, you may join RebatesMe only with the supervision and consent of your parent or legal guardian. If you are under 13 years of age, you may not join RebatesMe. All members receiving payments via check must be U.S. residents. You must have Internet access and an email address to use RebatesMe, and we are not responsible for your inability to connect to the Internet to access our website or your account. You are responsible for maintaining accurate account information at all times, including valid email and mailing addresses. You are responsible for keeping your email address, mailing address, password, and all other private information confidential. RebatesMe is not responsible for any changes made to your account by any party that uses your email address and password. You are responsible for following the Terms of Service and policies, for not engaging in inappropriate use of the RebatesMe website and services offered or its affiliate merchant sites, or for not engaging in fraudulent practices. You added the item(s) to your shopping cart before clicking through from RebatesMe.com. You checked out from the merchant site multiple times, but only clicked through from RebatesMe once. IN THE EVENT OF A DISPUTE BETWEEN YOU AND A MERCHANT LISTED ON THIS WEBSITE, TO THE MAXIMUM EXTENT PERMITTED BY APPLICABLE LAW, YOU RELEASE RebatesMe, ITS AFFILIATES AND ANY THIRD PARTIES UNDER CONTRACT WITH RebatesMe, AND THEIR RESPECTIVE OFFICERS, DIRECTORS, EMPLOYEES, AGENTS, AND LEGAL REPRESENTATIVES FROM AND AGAINST CLAIMS AND DAMAGES OF ANY KIND, KNOWN AND UNKNOWN, SUSPECTED AND UNSUSPECTED, DISCLOSED AND UNDISCLOSED, ARISING OUT OF OR IN ANY WAY CONNECTED WITH SUCH A DISPUTE. Occasionally purchases at our affiliated merchants' websites will not generate commissions for RebatesMe. These may include, but are not limited to, gift certificates, gift cards, purchases for the purpose of reselling, and other items determined by the merchant. RebatesMe is not obligated to pay cash back for purchases that do not generate a commission for RebatesMe or for which a merchant cancels a commission. If you return an item to a merchant AFTER receiving your cash back check for the purchase of that item, RebatesMe has the right to recover these earnings from you and may take necessary actions, including check cancellation or deductions from your RebatesMe account. RebatesMe strives to maintain the most accurate prices possible to give you the best comparison shopping experience; however, due to constant changes made by retailers to product pricing we cannot guarantee the accuracy of our pricing. Additionally, based on product supply retailers will occasionally sell out of certain inventory before we can update those products as Out of Stock in our database. RebatesMe is not responsible for products on its website that become unavailable or out of stock. RebatesMe also strives to show accurate tax and shipping costs, but please keep in mind that for some stores, the tax and shipping costs shown are only estimates. Sales tax estimates are based on your zip code and the sales tax policies of the merchant. Shipping cost estimates are based on the shipping policies of the merchant, product weight, shipping destination, distribution center location, and carrier used (UPS, USPS, FedEx, etc.). In some cases, however, RebatesMe is not provided with all information necessary to estimate the exact tax and shipping costs. RebatesMe works directly with merchants to ensure that all coupons displayed are active and that any exceptions are listed with the coupon. Occasionally, however, coupons may not work because of a merchant error or other technical error. Other times a specific item not listed in the exceptions will not be eligible for the discount. RebatesMe is not responsible for any coupons that do not work. If you try to use a coupon and it doesn't work, please report the issue to us and we will do our best to reactivate the coupon, get a new coupon, or provide clarification on why the coupon did not work. If your user account is inactive for 365 consecutive days, you hereby release all rights to cash in your account and funds in your gift card balance, which shall automatically and immediately vest in RebatesMe without any requirement of notice to you. The currency of all payments will be U.S. Dollars or RMB. We will only send out payments when you have at least $10.00 of "Available" money (this includes cash back) in your RebatesMe account. RebatesMe accounts cannot be combined to achieve a total of $10.00 "Available" funds. Your cash back on a specific purchase will become "Available" once the return time on that purchase has passed. Return times are standardized for all merchants to be a period of 90 days. The return time does not only reflect the time allowed to return the item to the merchant, but also the time allowed for the merchant to cancel the commission paid to RebatesMe for reasons including but not limited to returns due to product defect, invalid coupon use, or fraudulent orders. Once the return time has passed your earnings will become "Available" for withdrawal. RebatesMe is not responsible for any event beyond the control of RebatesMe that would prevent you from receiving your payment. Such an event may include, but is not limited to, lost mail or an error made by you in typing your mailing address, or a change of address of which you have not notified RebatesMe. RebatesMe reserves the right to withhold payment of cash back indefinitely for any reason including but not limited to: suspected fraud, merchant concerns, or unusual activity. If you feel your cash back payment is being improperly withheld, please contact us and we will be happy to work through the issue with you. RebatesMe reserves the right to terminate the Program at any time with notice. In the event the Program is terminated, you will have sixty (60) days from the date notice is transmitted by RebatesMe to the email address specified in your account to redeem your Cash Back Rebates. Notification of Program termination will be sent to the email address provided to RebatesMe during the registration process. RebatesMe will not be responsible for failing to notify you of Program termination where such failure is caused by an inaccurate email address, your failure to check email online, or your failure to inform RebatesMe of a change in your email address.You may cancel your account at any time by contacting customer service using the customer support interface on the web site. Immediately upon cancellation, your account will be closed. YOU UNDERSTAND AND AGREE THAT UPON CLOSING YOUR ACCOUNT, YOUR RIGHT TO PARTICIPATE WILL CEASE AND ALL CASH BACK REBATES IN YOUR ACCOUNT AT SUCH TIME, HOWEVER AND WHENEVER ACCUMULATED, WILL BE FORFEITED.RebatesMe reserves the right to modify this Agreement from time to time, with or without notice. If there is a modification to the Program, we will endeavor to notify you; however, we will not be responsible if you do not learn of the modification. Continued participation in the Program after such modification shall be deemed to be your acceptance of any such modification. It is your responsibility to check this page of the RebatesMe Web site regularly to determine whether this Agreement has been modified. If you do not agree to any modification of this Agreement, you must immediately cease participation in the Program.Membership in the Program is subject to the Program Terms and Conditions. Any failure to comply with the Program Terms and Conditions, any fraud or abuse, or any misrepresentation of any information furnished to RebatesMe by you or anyone acting on your behalf may result in the termination of your account and the forfeiture of all Cash Back Rebates. All content available on this website is © 2013 RebatesMe, Inc. with all rights reserved, or is the property of third properties protected by intellectual property rights. All other trademarks displayed on this website are the trademarks of their respective owners, and are not intended to imply any endorsement or affiliation between RebatesMe and these companies. You agree that you will not use any robot, spider, other automatic device, or manual process to monitor or copy our web pages or the content contained therein without prior written permission of an authorized person of RebatesMe. THIS WEBSITE IS PROVIDED BY RebatesMe ON AN "AS IS" AND ON AN "AS AVAILABLE" BASIS. TO THE FULLEST EXTENT PERMITTED BY APPLICABLE LAW, RebatesMe MAKES NO REPRESENTATIONS OR WARRANTIES OF ANY KIND, EXPRESS OR IMPLIED, AS TO THE OPERATION OF THIS WEBSITE OR THE INFORMATION, CONTENT, GRAPHICS, LINKS, MATERIALS, PRODUCTS, OR SERVICES INCLUDED ON THIS WEBSITE, OR THEIR ACCURACY, RELIABILITY, COMPLETENESS OR TIMELINESS. IN ADDITION, THIRD PARTIES PROVIDE SOME OF THE MATERIAL ON THIS WEBSITE; TO THE MAXIMUM EXTENT PERMITTED BY APPLICABLE LAW, RebatesMe SHALL NOT BE RESPONSIBLE FOR ANY SUCH THIRD PARTY MATERIAL. YOU EXPRESSLY AGREE THAT YOUR USE OF THIS WEBSITE OR ANY TRANSACTION RESULTING THEREOF IS SOLELY AT YOUR OWN RISK. RebatesMe DOES NOT GUARANTEE CONTINUOUS, UNINTERRUPTED OR SECURE ACCESS TO THIS WEBSITE OR THE SERVICES PROVIDED. OPERATION OF THIS WEBSITE MAY BE INTERFERED WITH BY NUMEROUS FACTORS OUTSIDE OF RebatesMe'S CONTROL. TO THE FULLEST EXTENT PERMITTED BY APPLICABLE LAW, RebatesMe DISCLAIMS ALL WARRANTIES, EXPRESS OR IMPLIED, INCLUDING, BUT NOT LIMITED TO, IMPLIED WARRANTIES OF TITLE, MERCHANTABILITY, FITNESS FOR A PARTICULAR PURPOSE, AND NON-INFRINGEMENT OF PROPRIETARY OR THIRD PARTY RIGHTS REGARDING THIS WEBSITE. TO THE FULLEST EXTENT PERMITTED BY APPLICABLE LAW, RebatesMe MAKES NO WARRANTIES OR REPRESENTATIONS REGARDING ANY PRODUCTS OR SERVICES REVIEWED ON THIS WEBSITE OR BOUGHT AND/OR SOLD USING THIS WEBSITE, OR THAT SELLERS OR BUYERS WILL PERFORM AS PROMISED BY THEM, OR THAT THIS WEBSITE, ITS SERVERS, OR E-MAIL SENT FROM RebatesMe ARE FREE OF VIRUSES OR OTHER HARMFUL COMPONENTS. TO THE MAXIMUM EXTENT PERMITTED BY APPLICABLE LAW, RebatesMe WILL NOT BE LIABLE FOR ANY DAMAGES OF ANY KIND ARISING FROM THE USE OF THIS WEBSITE, INCLUDING, BUT NOT LIMITED TO, DIRECT, INDIRECT, INCIDENTAL, PUNITIVE AND CONSEQUENTIAL DAMAGES, OR ANY DAMAGES RELATED TO LOSS OF BUSINESS OR BUSINESS OPPORTUNITIES. To the maximum extent permitted by applicable law, you agree to defend, indemnify and hold RebatesMe, its subsidiaries, affiliates, co-brand partners, and other parties with which RebatesMe is under contract, and their respective officers, directors, employees and agents free and harmless from and against any claims, actions and demands, including, without limitation, any legal and accounting fees resulting from your use of this website and/or your breach of these terms, and/or resulting from any and all content you submit to RebatesMe and/or this website. RebatesMe shall provide notice to you of any such claim, suit or proceeding. If any provision of these terms is held to be invalid, void or unenforceable for any reason, such provision shall be struck and the remaining provisions shall remain enforceable. Headings are for reference purposes only and in no way define, limit, construe or describe the scope or extent of such section. Our failure to act with respect to a breach by you or others does not waive our right to act with respect to subsequent or similar breaches. You agree that these terms and all agreements and notices incorporated herein may be automatically assigned by RebatesMe, in our sole discretion, to a third party. You may not assign your obligations to any other entity.